A new book and media store has opened locally and offers incredibly low prices on their items. Books are around $1.29-$3.99, both used and new, including some new releases. I believe the place is called The Used Book Superstore, or something along those lines. It is located on route 28 in Salem, NH where Furniture World used to be. There are also locations in Burlington, MA and Nashua, NH. Jer works at the Salem location, where the store had its grand opening yesterday morning. Last night I went and crate dove for about an hour. The vinyl LPs are only $3 no matter what condition the albums are in - whether they are near mint or ready to be recycled and transformed. 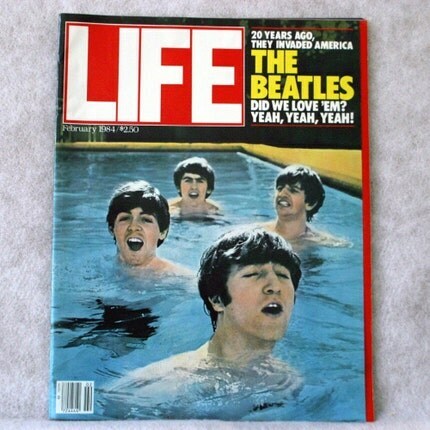 I successfully managed to rescue every Beatles album that they had as well as an Eric Clapton and The Doors (score!). I had several more that I wanted, but my wallet was already going to suffer enough with the amount of LPs that I had in my cart. It was definitely a thrill. Vinyl lovers and book worms in the New England area need to check this place out. I have just one cautionary note: you WILL lose track of time. Ten minutes turns into two hours very quickly while browsing, so make sure your day is free! I also hit some craft stores today and yesterday to get some supplies for new dog hats. I am also now working on a line of jewelry. It's going to be a mix of victorian and retro styles, which don't appear to go together, but they will when I get started. I'll post when I get the line up and running. 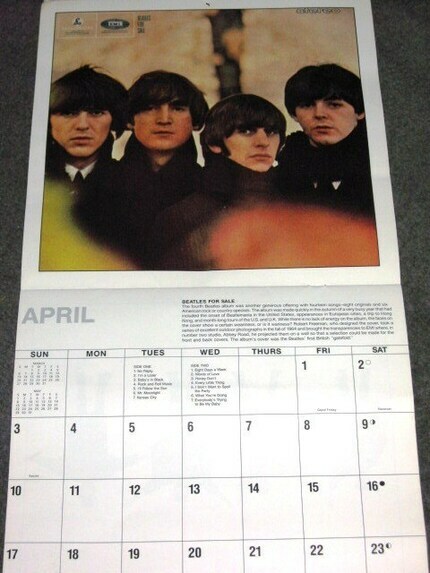 On another note, there are only two days left to my first Beatles celebration week. 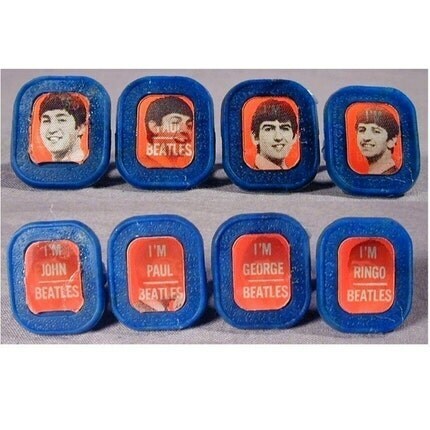 Today I am focusing on vintage Beatles items only. I love hand made and new inspirations, but these items are classic originals that will never truly get old. This is where it all began. 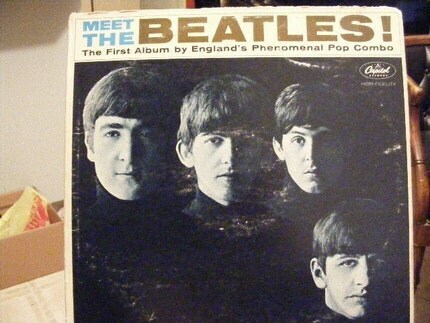 Meet the Beatles is their first album to be released on Capitol Records. It has all the old goodies that launched them into superstardom including "I Want to Hold Your Hand" and "I Saw Her Standing There". This LP will make you dance. I know it gets me on my feet. 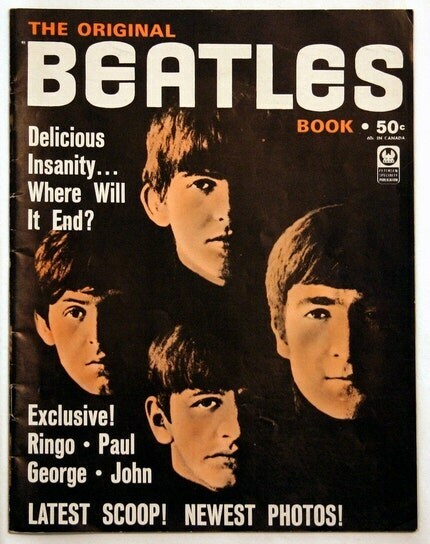 There are several copies available on eBay and the prices start around $10 for one that isn't in the best condition. Also, if you live in New England, The Record Exchange in Salem, MA has a few copies. This copy is available on etsy from Rarelooms. I usually keep old calendars and recycle the images for collages, wall art, decoupaging, and other thrifty things. 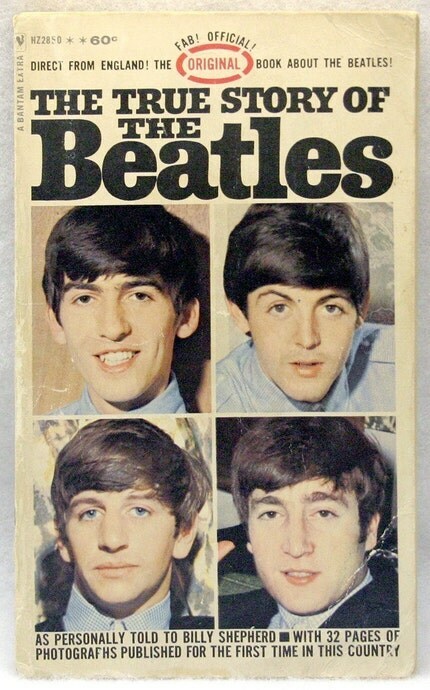 This item from Retro Realm is great for collectors as well as artists looking for some classic images. 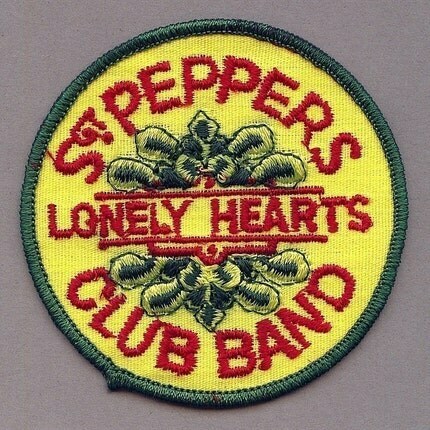 Seeing as it is my size, I think I may need to add this to my collection of Beatlemania attire. 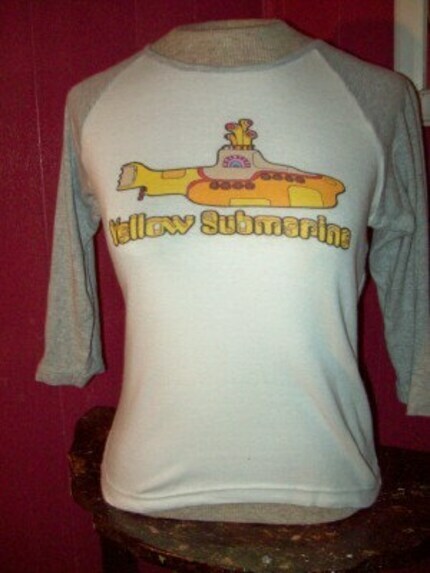 There is nothing more simple and classic on a lazy day than a baseball t-shirt that shows off your favorite band. The Pink Chicken Trading Co. offers this comfy item. 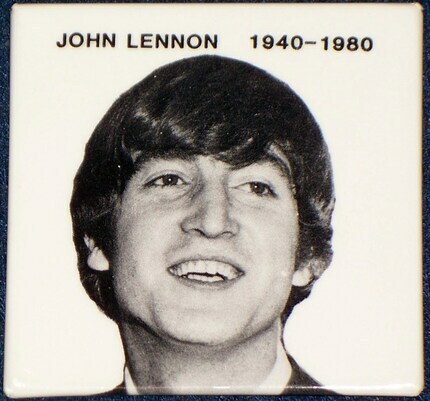 This pin from Treyone Collectibles was released in memorial of this peace-promoting artist and inspirational figure after he was murdered in 1980. A lovely commemorative piece for fans to wear and remember John. 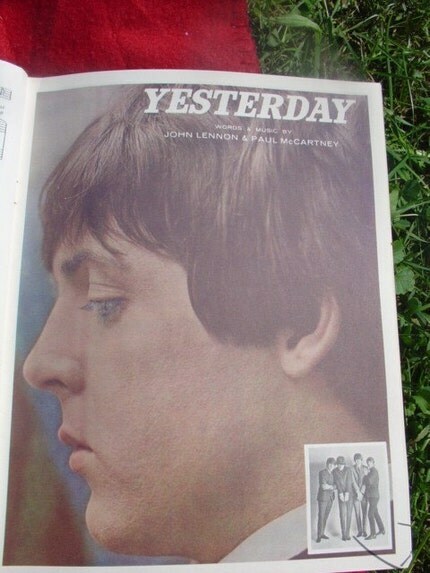 This book contains twelve songs of the sixties, including The Beatles' "Yesterday". Perry Como and Sammy Davis Jr. are among the others whose music is contained in this booklet. It is available from Vanesseva Designs. 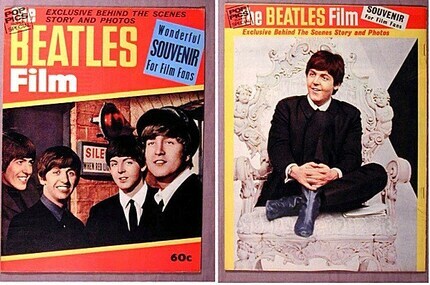 Gotta love those Beatles films. 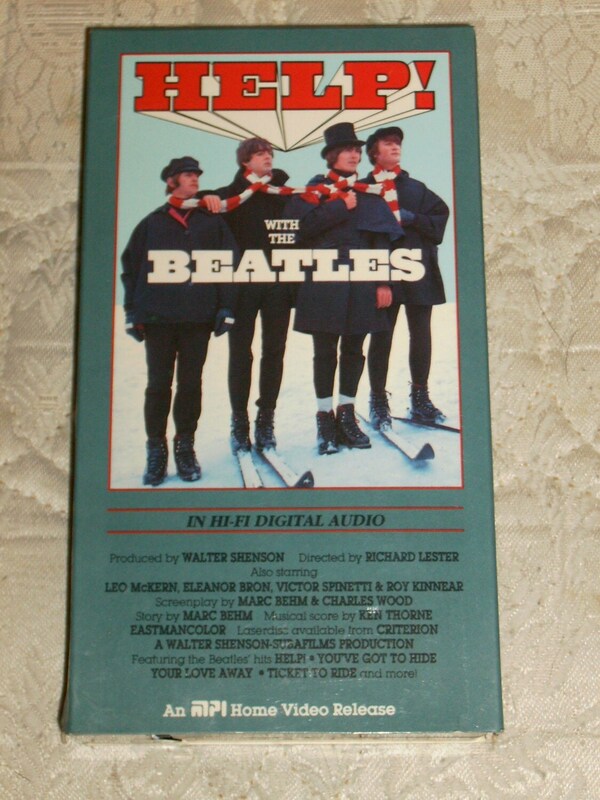 Kick it old school and warm up that VCR to play this fabulous VHS from Recordman09. 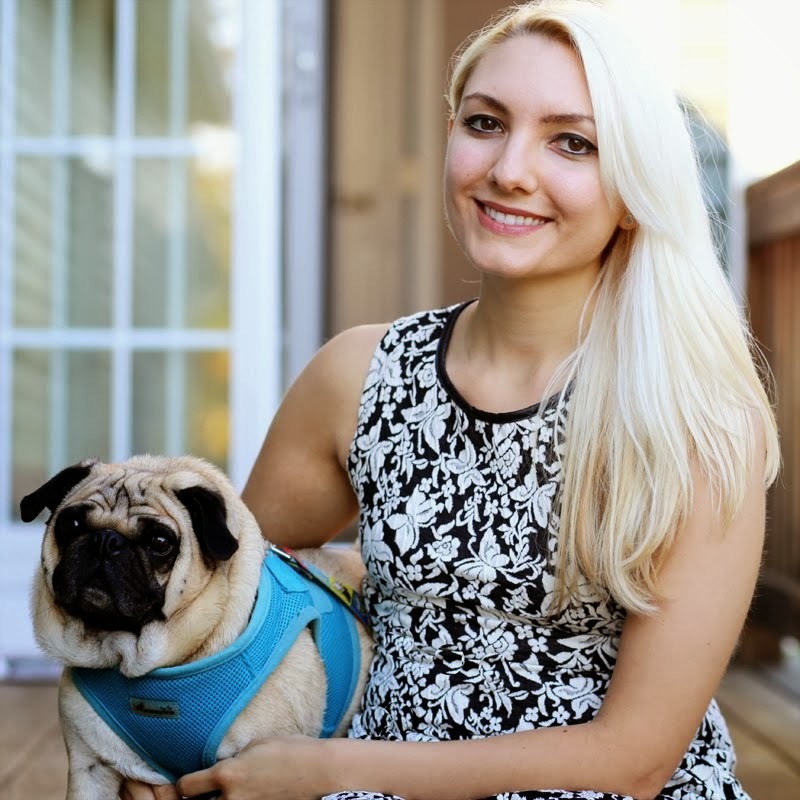 Please make sure to visit these shops, check out their items, and let me know what goodies you find! If you have an item, shop, or theme that you'd like to see in this blog or share with me, drop a message in my comments or send an e-mail to jj-lynne@hotmail.com.